Official Johnny Winter T Shirt. Every sale directly benefits Winter's estate. 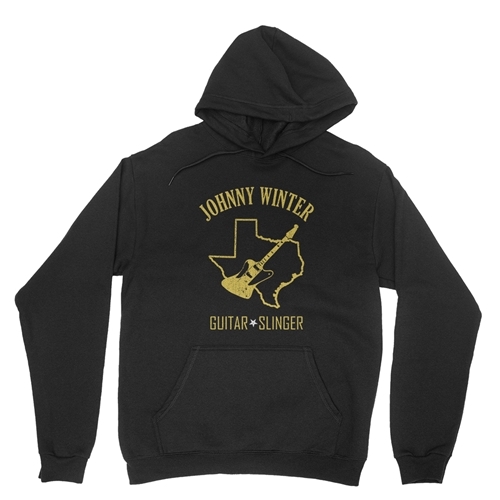 The distressed design features Texas, Johnny's Firebird, and "Johnny Winer Guitar Slinger"
Bluescentric Johnny Winter hoodie jackets are printed on quality Hanes 90% cotton, 10% poly high-density cotton jersey-lined pullover with dye-matched drawstring. Light Steel is 85% cotton. 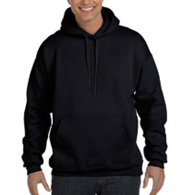 Sizes are available up to 3XL and run true-to-size.